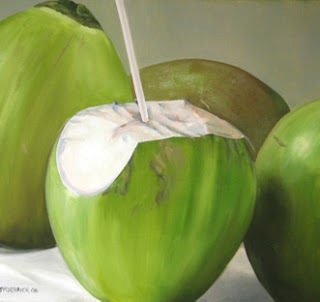 Coconut water is the liquid that is taken from unripe coconuts. If coconuts get ripe the liquid that is inside will harden and become a part of the white flesh of the coconut, which is used to make coconut milk. So, picking the coconut while it is unripe will ensure that the body gets all the benefits of coconut water. Coconut water is an isotonic solution which replaces the fluids and minerals that the body loses during physical activities. For this reason, many athletes and persons who work out regularly are encouraged to drink coconut water to replace all the minerals and fluid that they lose while working out. Even the United Nations Food and Agriculture Organization (FAO) attest to the benefits of drinking coconut water when it fought for a patent in 2000 to market coconut water as the next big sports drinks. If you consume coconut water on a regular basis it can reduce urinary problems. People who suffer from strangury, polyutra and other urinary ailments drink coconut water to relieve their symptoms. Drinking coconut water with one teaspoon of olive oil for three days will kill intestinal worms and clear the stomach of worms, which makes for better digestion. People who have kidney problems and are plagued by kidney stones should drink coconut water in addition to taking their medication. Drinking coconut water regularly helps to break up kidney stones making them easier to push out. Coconut water is almost identical to blood plasma and this makes it easy to use for blood transfusion. In cases of emergency coconut water has been used as an intravenous hydration fluid instead of the standard IV fluid. During World War II many wounded soldiers were saved in the Pacific because of emergency transfusion using coconut water as plasma. Coconut water contains monolaurin, an antiviral, antibacterial and antiprozoal monoglyceride that is used to kill lipid-coated viruses such as HIV, Herpes, cytomegalovirus, flu and various pathogenic bacteria. Coconut water is great at reducing vomiting. People who have typhoid, malaria, fevers or other ailments that are known to induce vomiting drink coconut water to settle the stomach. As such, coconut water is also a good thing to drink during a hangover. Green or unripe coconuts can be found in Asian and West Indian markets. All coconuts that they sell are closed up to keep coconut water from losing its nutrients. So, if you plan on buying a coconut, you can ask someone to chop the coconut open or you can open it yourself at home and drink it.